It includes a few razor covers too! If you always keep your toothbrushes and razors protected, today's deal is for you. 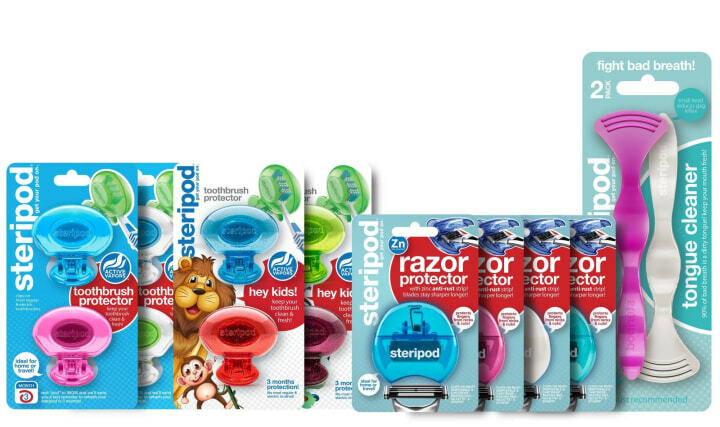 You'll get 53 percent off family packs from Steripod. Each pack usually costs $43 and includes four toothbrush protectors, four kids toothbrush protectors, four razor protectors and two tongue cleaners. With our deal, you'll get it all for $19. The toothbrush and razor protectors snap on easily and stay secure, making them great to have for any travels or even just protecting your toothbrushes and razors from bathroom bacteria.